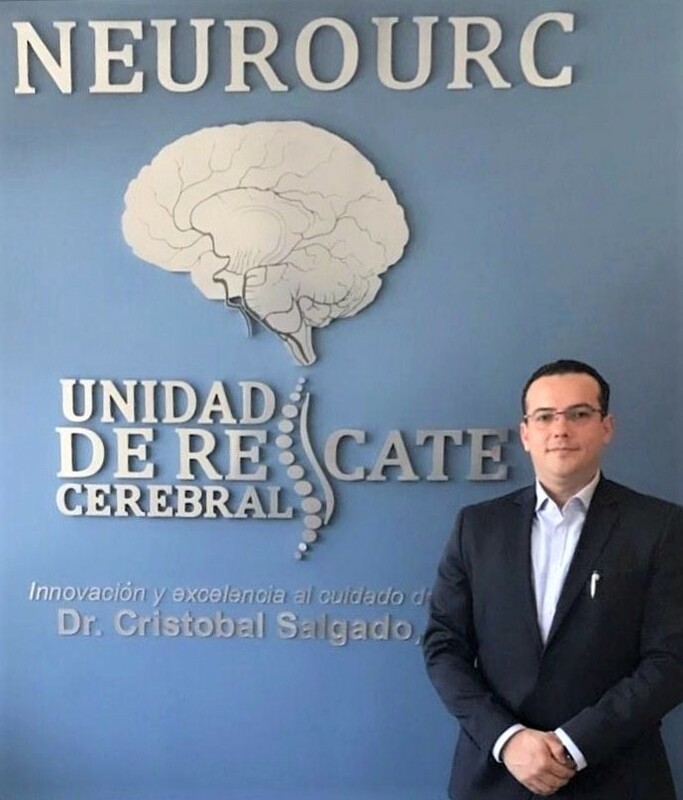 Dr. Cristobal Salgado is the founder and medical director of NEUROURC, Neurology and Cerebral Rescue Center in Guatemala City since 2014. 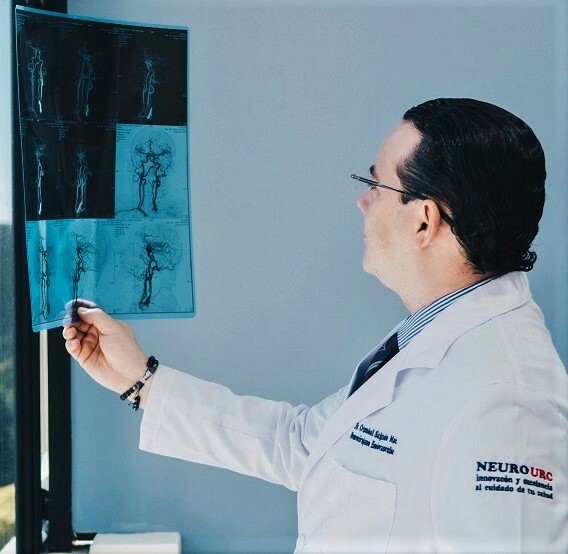 At his modern state-of-the-art clinic, Dr. Salgado and his team of multi-disciplinary specialists provide diagnosis and treatment of brain, spine, vascular and peripheral nervous system injuries. 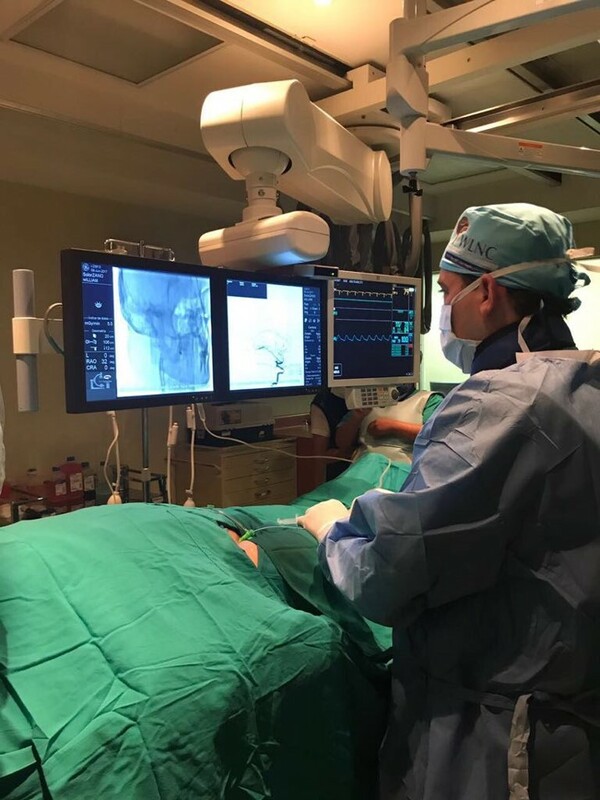 They offer minimally invasive diagnostic and therapeutic technologies to the highest quality standards, and then follow up with the care and therapy you need, to guide you to a healthy, successful outcome. 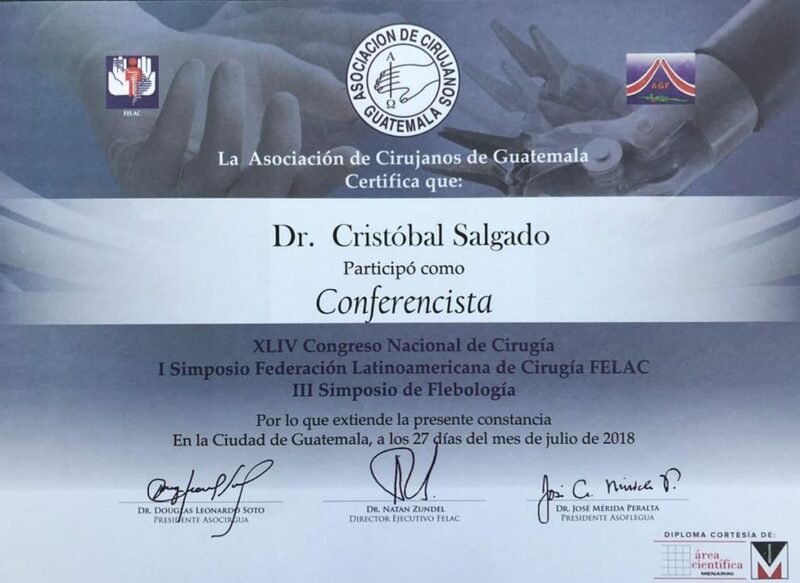 Beyond his diagnostic skills and superior surgical talent, Dr. Salgado knows that a full recovery is assured with the cooperation of a team: the neurologist, psychologist, and specialists in internal medicine, pain management, physical training and speech therapy. 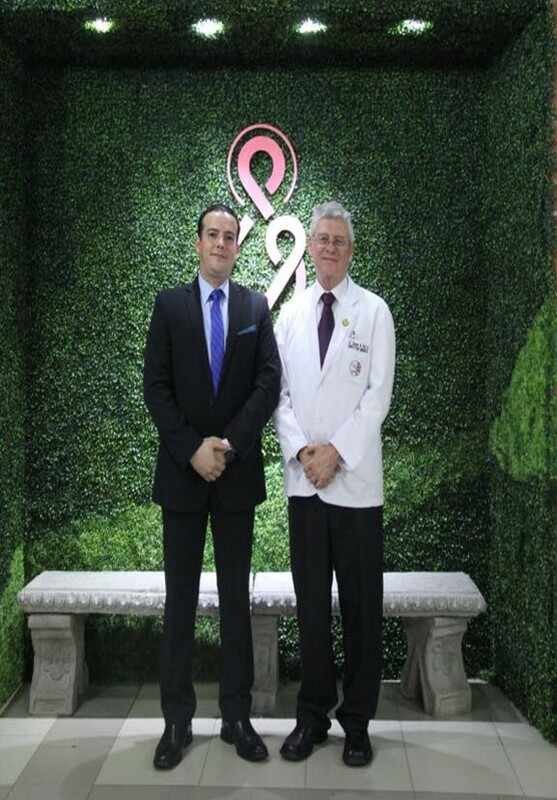 All of these people are focused on giving excellent and innovative attention to your medical needs. 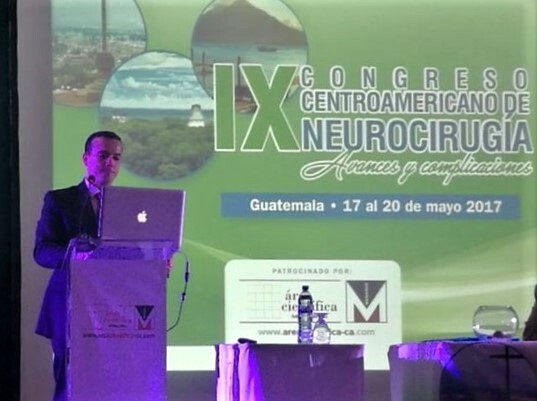 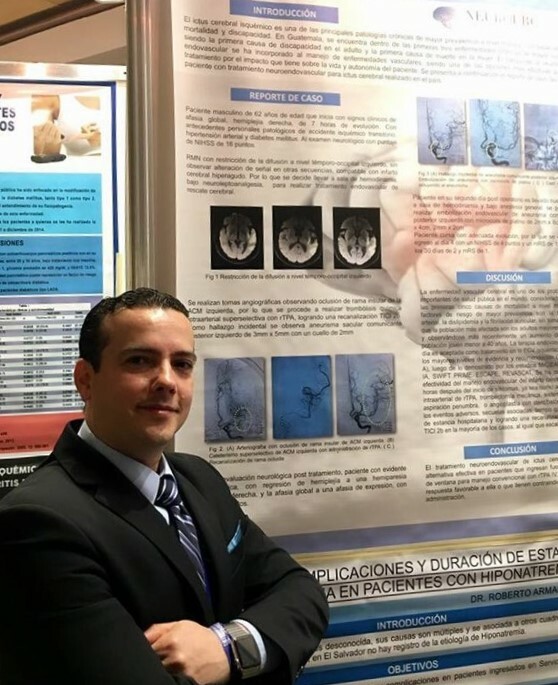 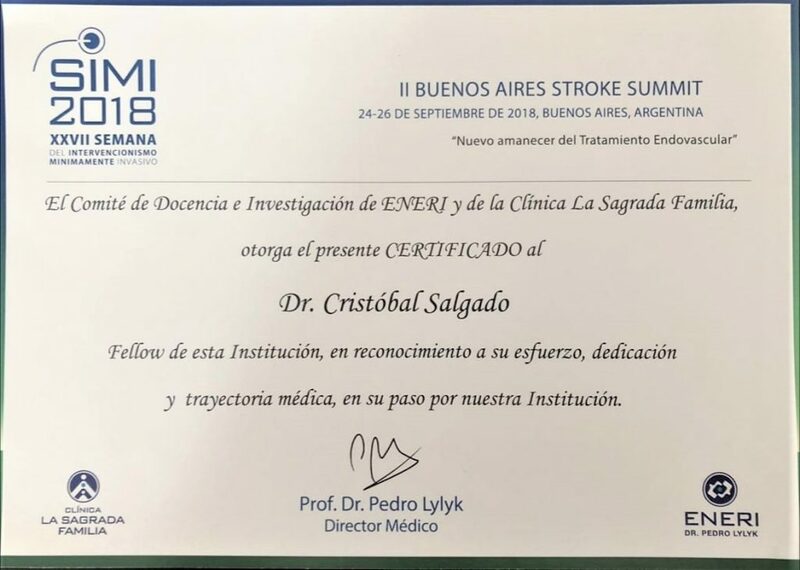 In 2012, Dr. Salgado wrote protocol guidelines for the Pediatric Neurosurgery Department of Hospital Roosevelt in Guatemala City, regarding encephalitis, head and spine trauma, medulloblastoma, spinal tumors in children, post-surgical nervous system infections, and emergency trauma. 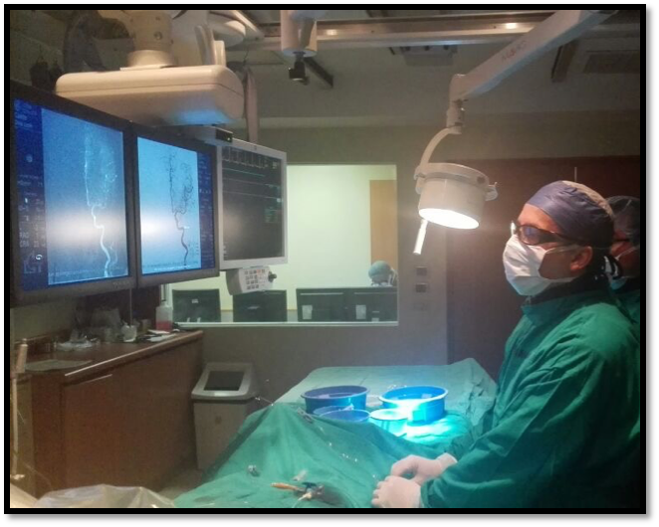 These manuals are still used today, and are required reading for new surgery residents and hospital staff. 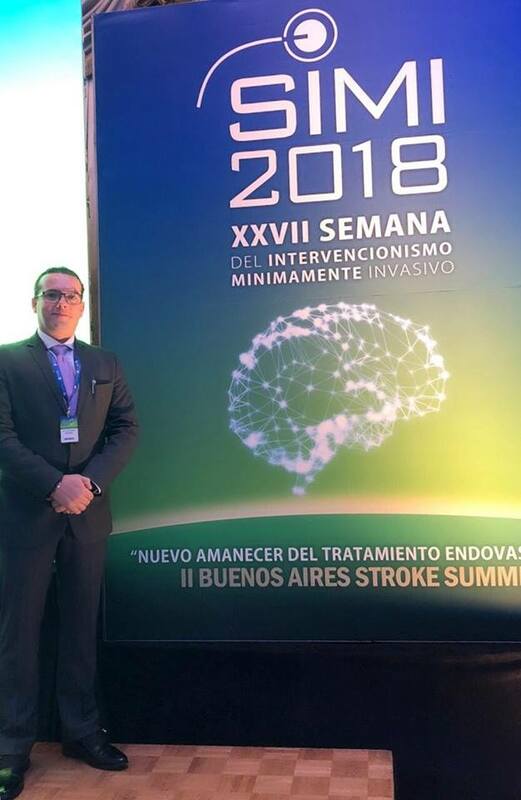 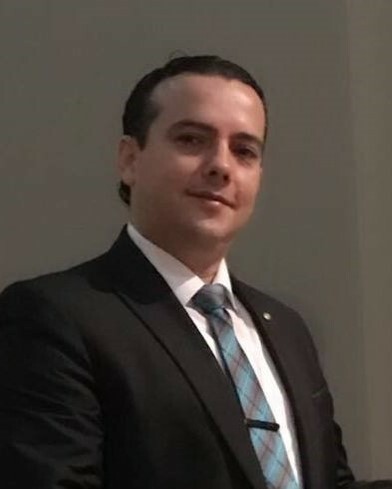 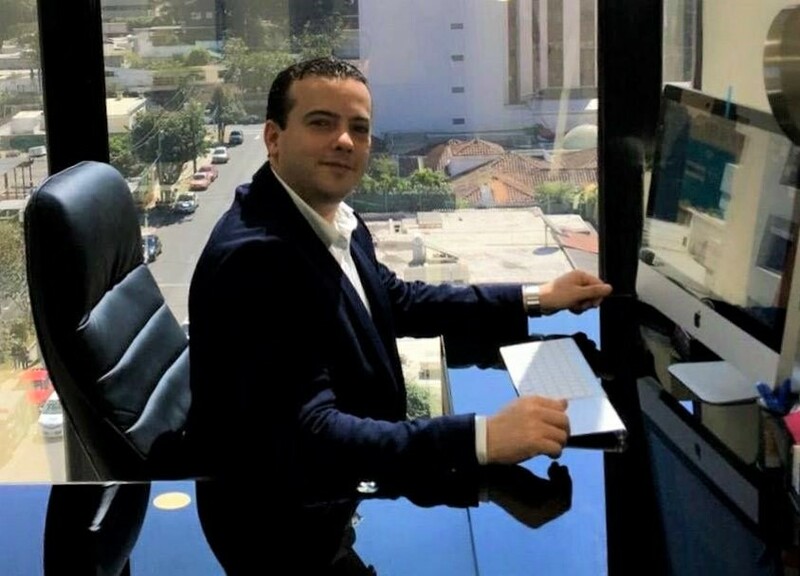 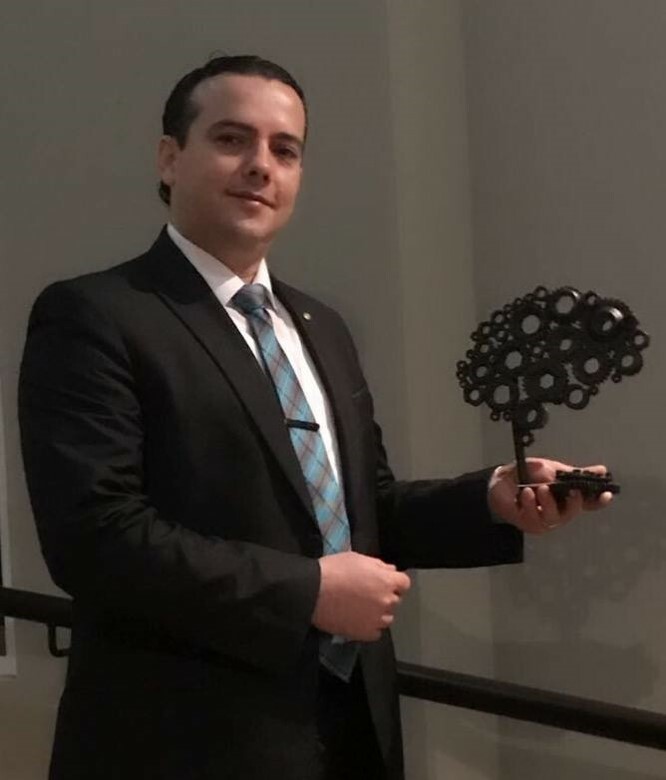 He is a highly-respected surgical associate at the best private hospitals in Guatemala City, as well as in professional neurosurgery societies throughout Latin America. 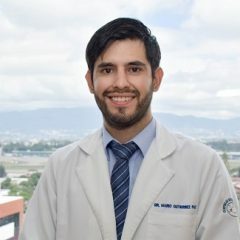 Dr. Salgado is respected surgical associate at the following hospitals: Centros Hospitalarios La Paz, Sanatorio Nuestra Señora El Pilar, Centro Médico, Hospital Universitario Esperanza, Centro Médico Militar, Hospital Yarden, Hospittalia, Hospital Ambulatorio Multimédica, Hospital Los Angeles, Hospital Maranatha. 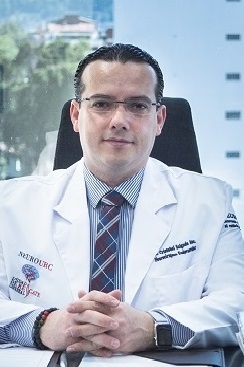 En los departamentos: Centro Médico Chiquimula, Centro Médico Zacapa, Hospital El Carmen Puerto Barrios. 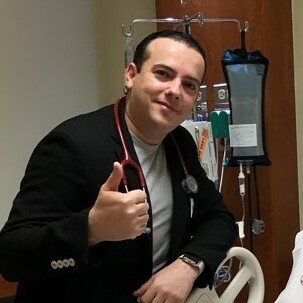 Diagnostic exams are state of the art and performed at local hospitals, with results the next day. 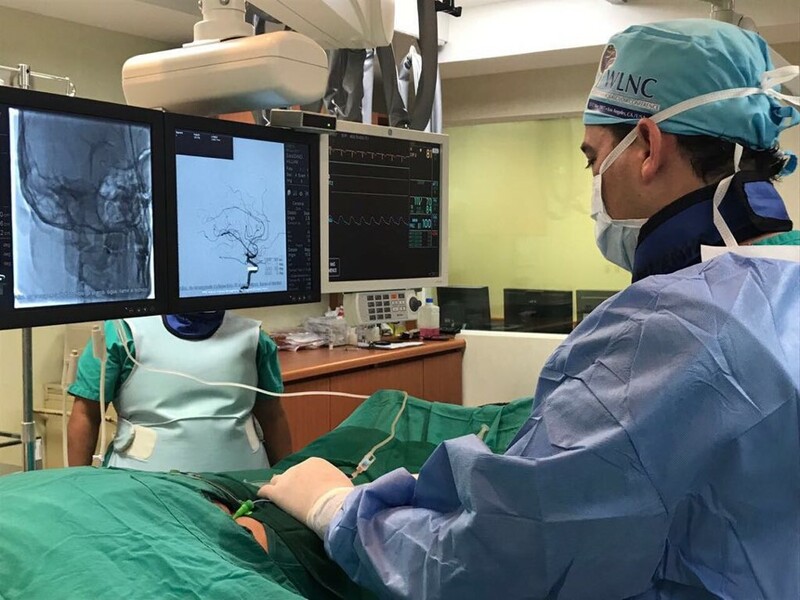 NEUROURC is the only neurosurgery clinic in Guatemala offering minimally invasive neuro-endovascular applications for treatment of cerebrovascular illness, tumors, and spinal column injuries. 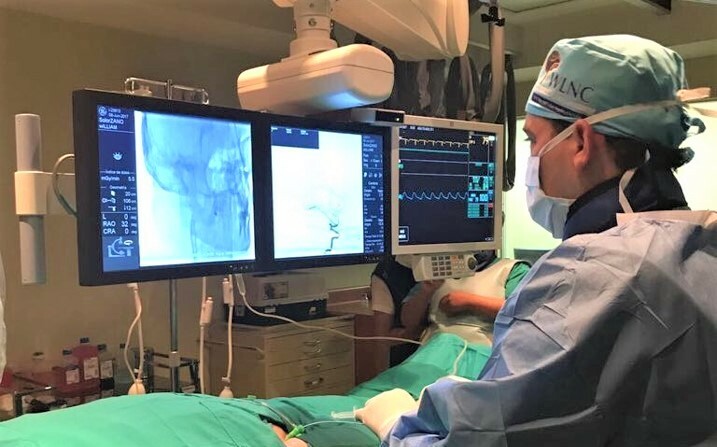 These procedures are more accurate and therefore reduce the chance of complications, so they are generally preferred over conventional open surgery with anesthesia. 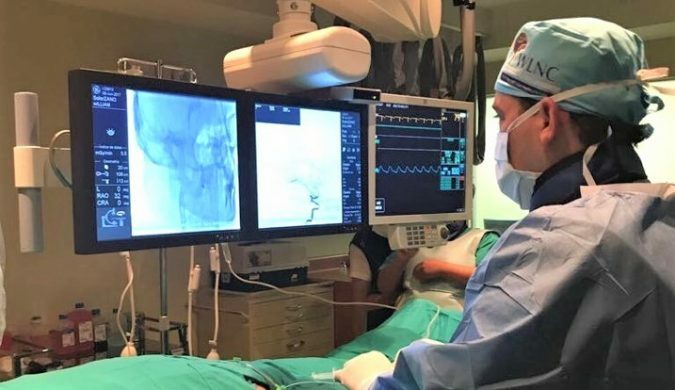 Having smaller incisions and less trauma, the patient enjoys faster healing, lower anxiety, and a shorter hospital stay. 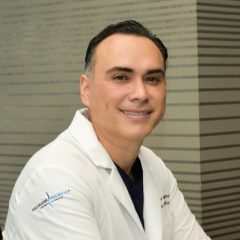 You can trust Dr. Cristobal Salgado to be totally devoted to personalized patient care. 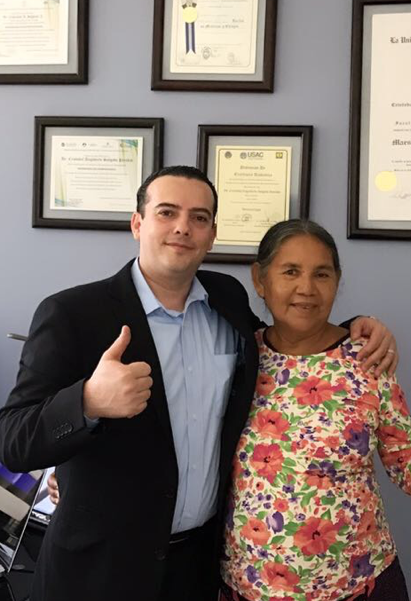 He will be proactive in investigating the source of your neurological problem, and to make wise decisions based on scientific evidence and global protocols, until they find the solution that is best for you. 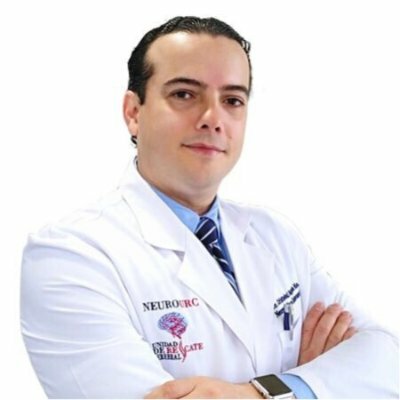 In case of emergency, like an accident or head trauma, you can reach Dr. Salgado at 502/ 3333-3024. 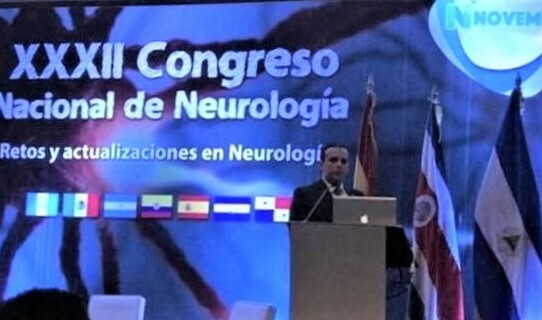 The Walter E. Dandy Neurosurgical Society seeks to become a forum for neurological surgeons, who by working collaboratively will enhance the education of both neurosurgical residents and fully-trained neurosurgeons, the teaching of neurosurgical anatomy, operative techniques, and take part in the development and distribution of guidelines for clinical decision making utilizing the best available science. 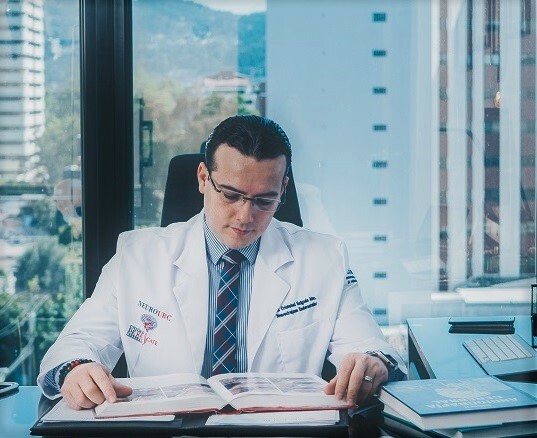 The Guatemalan College of Physicians and Surgeons has assembled various member groups under the title of ASMEZ – Medical and Scientific Missions. 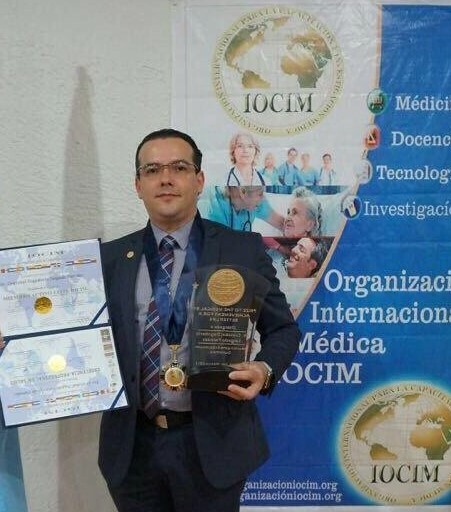 They provide low-cost or no-cost medical care in the north-east regions of Zacapa, Chiquimula y Puerto Barrios. 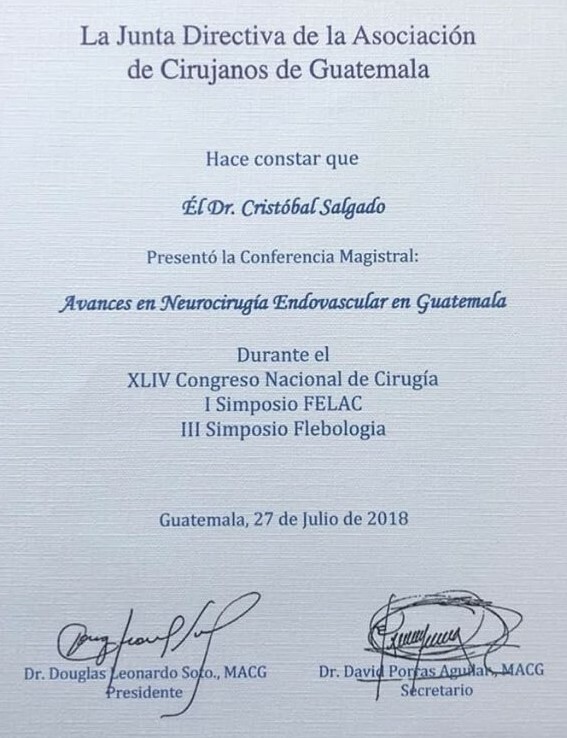 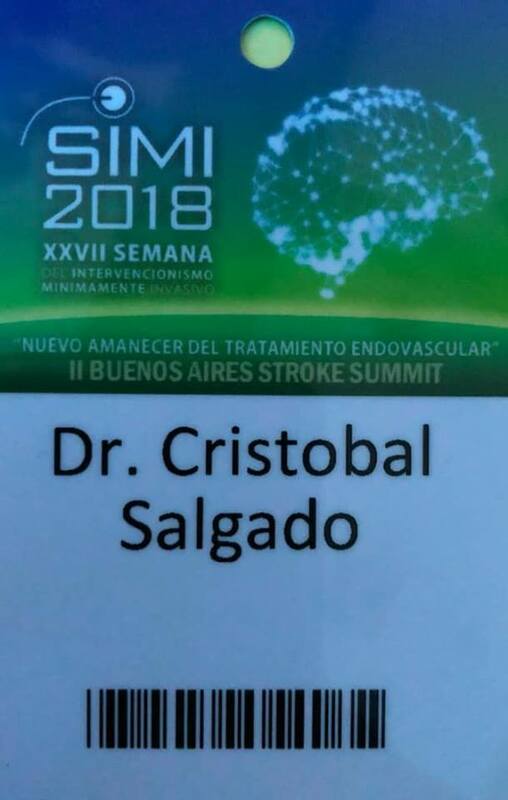 Dr. Salgado is proud to participate, together with his Guatemalan colleagues. 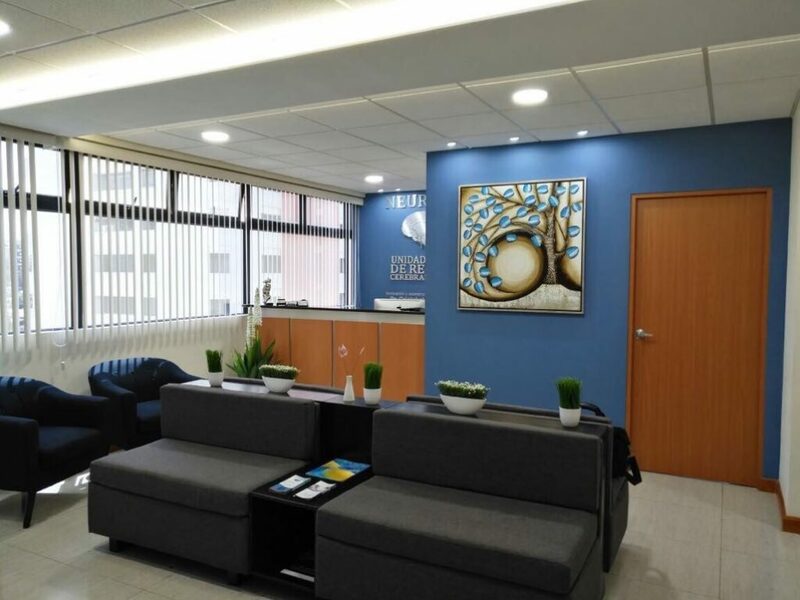 In zona 14, take 5th Avenue south, go right on 9th Calle. 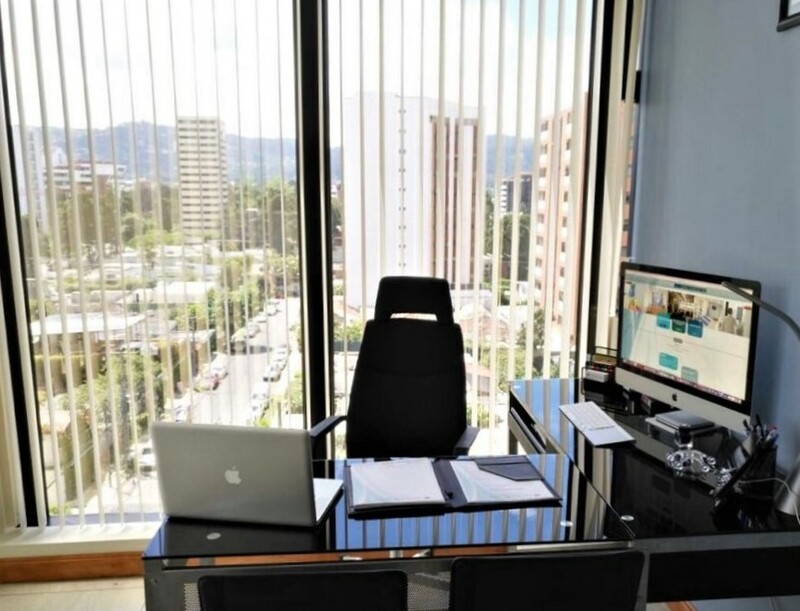 Take the first left on 4th Avenue, right on 10th Calle “A”. 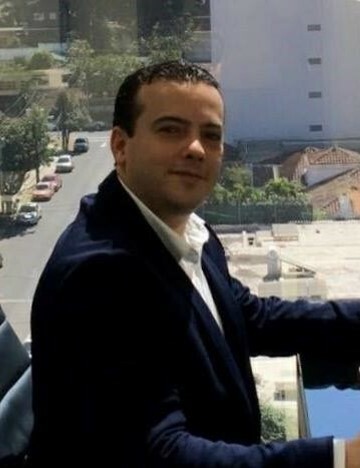 Enter the parking garage on the left.